I’ve been back in the kitchen again, creating a cake that I think is an important part of Blyton’s food. I can’t think of an instance at this moment in time where Victoria Sponge is mentioned by name, but its certainly in the book by Jane Brocket. However I decided to try a recipe from a household name this week, the one and only Delia Smith. 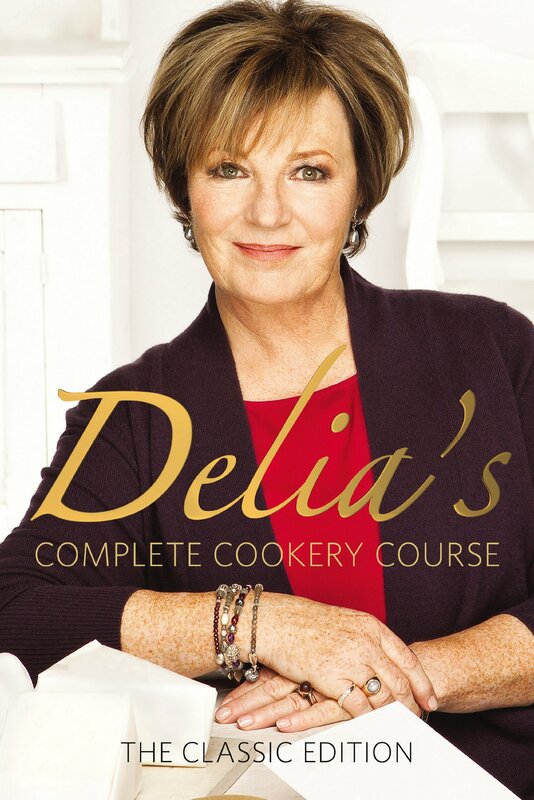 The recipe is taken from Delia’s Complete Cookery Course, The Classic Edition. A book that I initially looked at for finding recipes, but I hadn’t marked the page for the Victoria Sponge. I also chose to whip up some whipping cream to put between the layers with the jam. Yummy! Take your two sponge tins, and grease them and line the bases with greaseproof paper. In a mixing bowl (you won’t need a very big one) cream the butter and sugar together until you get a pale, fluffy mixture that drops off the spoon easily. You can use an electric whisk to speed this part up but a wooden spoon will do! (You’ll have amazing muscles afterwards if you use the spoon). In a separate jug or bowl beat the eggs together thoroughly. Then add them a little at a time, beating well after each addition (If you’re a beginner, Delia recommends a teaspoon at a time, beating after each addition so the mixture won’t curdle). When the eggs have been added, stir in a few drops of vanilla essence (or extract) with a metal spoon as it cuts and folds the flour in better than a wooden spoon). Have the flour in a sieve resting on a plate, then lift the sieve high above the bowl and sift about a quarter of the flour into the mixture and fold in. Then repeat until you’ve used up all your flour. The mixture should now drop easily off the spoon when you tap it on the side of the bowl. If it doesn’t, add 1-2 teaspoons of hot water. Divide the mixture equally between the two tins. If you want to get it exactly right, use scales to weigh how much mixture goes into each. Don’t worry about this if you’re happy with one sponge being marginally thicker than the other. Place them on the centre shelf in the oven, and they’ll take about 25-30 minutes to cook. When they are cooked the centres will feel springy when lightly touched and no imprint remains. Then removed them from the oven and after about a minute, removed them from their baking tins, loosening the edges with a palette knife first. This tip is one that comes from a majorly talented baker friend of mine, who when I asked how do you get the two pieces to go together without having the usual problem of the rounded top of the cake, she said; when they’re fresh out of the oven, just turn one over, and leave it to cool on the rounded side so that its flat. So that’s what I did and spread the jam and cream on the bottom of the flipped slice before sandwiching the two cakes together to make a delicious Victoria Sponge. So, let me know how your own cake adventures go, and I shall tell you how yummy my own creation is tomorrow when I get to break into it with my Godmother and parents for tea time! This entry was posted in Food and recipes and tagged Delia Smith, Making Blyton's Food, Victoria Sponge. Bookmark the permalink.